A recent entrant to the billionaire club, Modi is known for his high-value jewellery that cost as much as Rs 50 crore and are a regular at auctions conducted by houses like Christie’s and Sotheby’s. 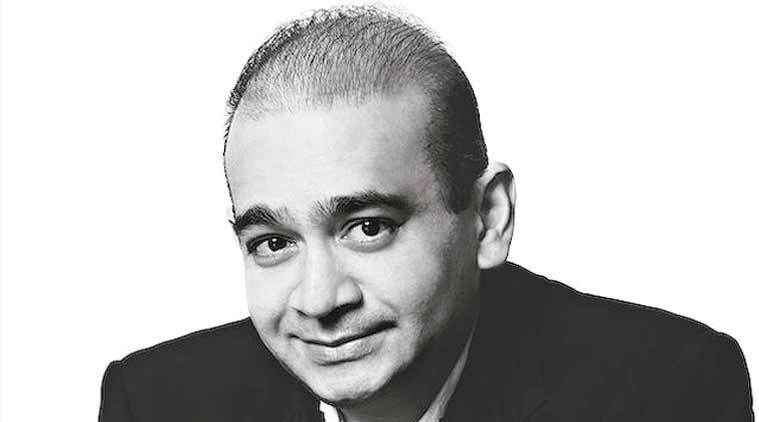 Nirav Modi: ‘Difference of opinion with authorities regarding valuation’. Nirav Modi, one of the top diamond merchants in the country, is being investigated by the Directorate of Revenue Intelligence (DRI) for alleged diversion of imported, duty-free, cut and polished diamonds and pearls to the domestic market. The DRI has called it violation of import-export norms. A recent entrant to the billionaire club, Modi is known for his high-value jewellery that cost as much as Rs 50 crore and are a regular at auctions conducted by houses like Christie’s and Sotheby’s. On June 2, Christie’s in Hong Kong auctioned one of his diamond necklaces for Rs 13 crore. An official privy to the DRI probe claimed that imported, duty-free, high-value, cut and polished diamonds were being diverted to the domestic market while cheaper low-value diamonds were being used to make jewellery for export to sectors like Hong Kong and UAE. The DRI’s Mumbai zonal unit issued two showcause notices, on June 5 and June 24, to Modi and three of his firms — Firestar Diamond International Pvt Ltd, Radashir Jewellery Company Pvt Ltd and Firestar International Pvt Ltd — located in the Surat Special Economic Zone (SEZ). The three firms import duty-free diamonds, pearls and gold for manufacturing jewellery at the Surat SEZ, exclusively for export after value addition. The showcause notices raised a demand of Rs 37.16 crore as penalty. Modi is learnt to have deposited Rs 48 crore as duty demand, penalty and interest. He has also sent two letters, dated July 3 and July 23, to the commissioner of central excise and service tax in Surat to close the case. The alleged violation was first detected in December 2014. Following specific intelligence, the DRI stopped the group’s “several export consignments of diamond-studded gold jewellery” to Hong Kong, UAE, US and Canada. The agency claimed that jewellery meant for Hong Kong and UAE were of “very low quality”. A government-approved valuer pegged the value of the consignment at one-tenth of the declared cost, according to the DRI. “DRI officers visited the factories at Surat SEZ and verified the stock of imported duty-free raw material, which revealed huge variation when compared to cut and polished diamonds and pearls,” a DRI official said. According to the agency, it found cut and polished diamonds worth Rs 100 crore in stock at the factories as against a declared stock of Rs 1,100 crore. The total value of pearls in stock was worth Rs 4 crore, instead of the declared stock of over Rs 100 crore.